How should we measure the success of our schools? How do tax payers know what return they’re getting on their investment? These are fair questions to ask. 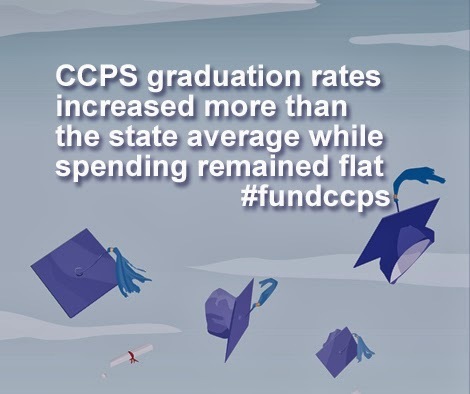 According to data published in the CCPS Board of Education Budget Request for FY 2015, the graduation rates in Cecil County have increased at a rate greater than the state average in nearly all categories. And it’s important to note that these increases happened during a time when CCPS spending was essentially flat. You can read more statistics about Cecil County graduation rates on the Maryland Report Card web site. Perryville High School: a track, a turf field, or a field house?